When I first heard of making spaghetti sauce in less than 30 minutes, I was skeptical. The classic spaghetti sauces, such as Pasta Bolognese that my mother used to make took hours. But with the availability of intensely-flavored heirloom tomatoes from my garden, it was time to take inspiration from America’s Test Kitchen and see what was possible in 30 minutes. The result is, in my opinion, fresh, zesty, and flavorful and a perfect accompaniment to most any type of pasta. 1. Bring water to a boil in a large saucepan or stockpot. 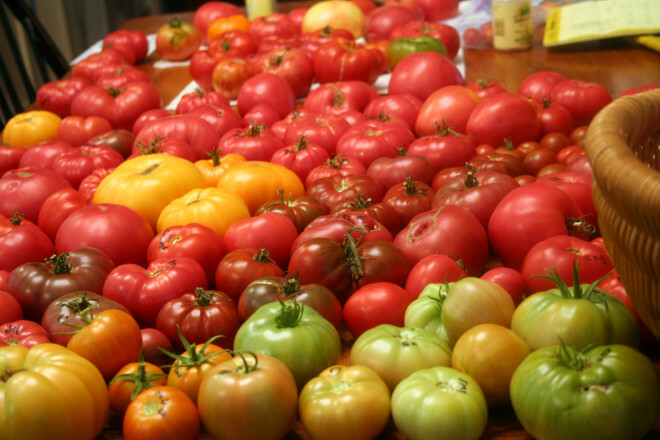 Submerge tomatoes in boiling water for 60-90 seconds, and then rinse in cold water. Skins should slips off easily. If not, submerge tomatoes in boiling water longer. 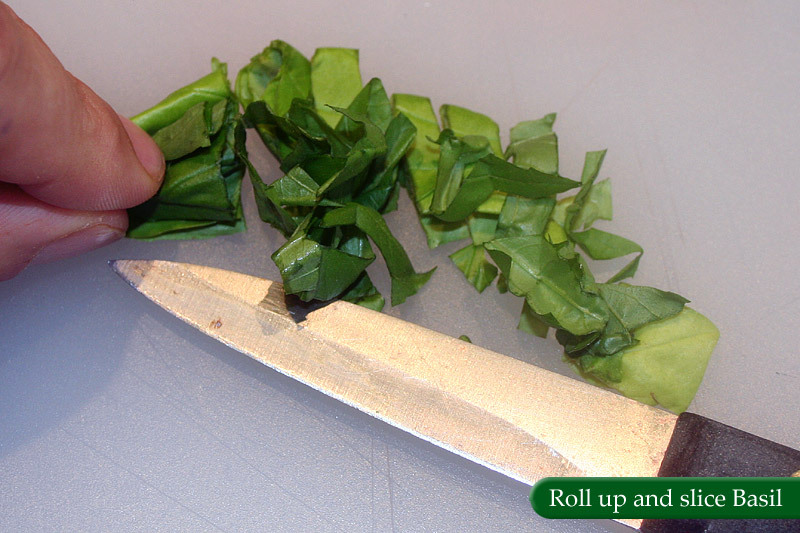 If you have a serrated vegetable peeler, you may peel and core each tomato instead of the hot water bath. 2. Place a fine mesh strainer over a large non-reactive bowl. 3. 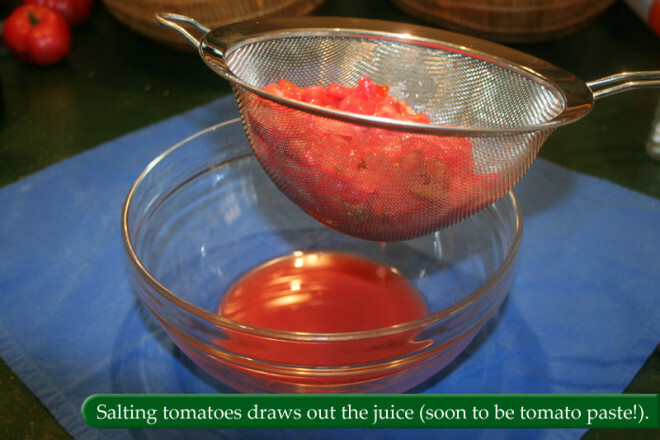 Finely dice the tomatoes (discarding any firm or woody parts) and transfer them, including any collected juices, to the strainer. 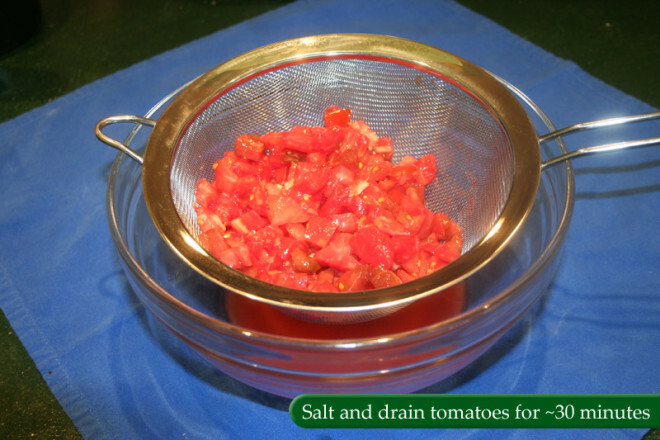 Sprinkle approximately 1/4 tsp table salt or 1/2 tsp Kosher salt on tomatoes for each pound of tomatoes and toss. Allow tomatoes to rest for 30 minutes. 4. In a 10″ skillet or medium saucepan, add 1 tbsp olive oil, 3 cloves of minced garlic, and 1/8 tsp of crushed red pepper flakes. Set over medium low heat. 5. Using a spatula, press down on the salted tomatoes to exude as much juice as possible. 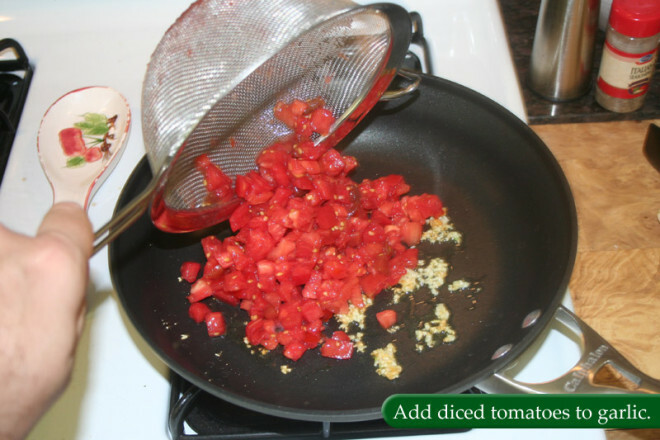 When garlic is sizzling and fragrant, transfer diced tomatoes to garlic-oil pan. 6. Separately, pour the collected tomato juice from the strainer and strainer bowl into a 12″ nonstick skillet and place over medium to medium-high heat. 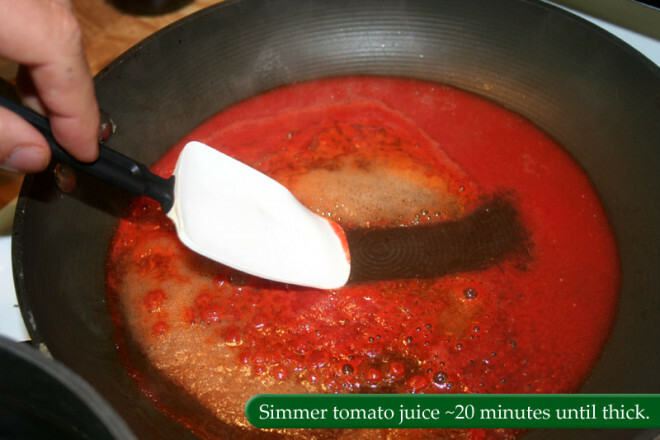 Simmer tomato juice at a rolling boil for 10-15 minutes, stirring occasionally, until reduced to a rich tomato paste. 7. 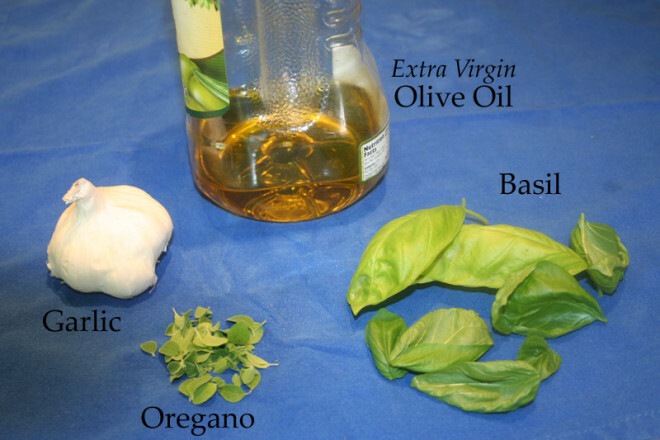 If you don’t have fresh oregano, add 1/2 tsp of dried oregano to the sauce now. Simmer diced tomatoes for approximately 10 minutes. 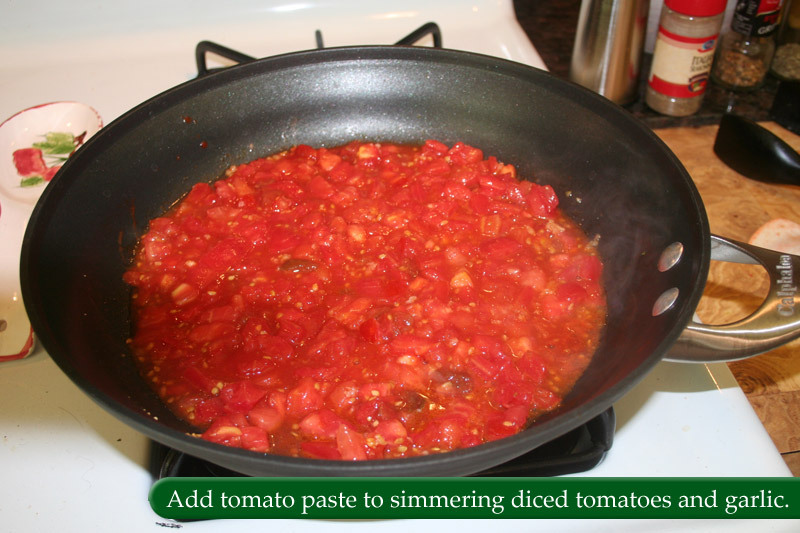 Using a spatula, transfer tomato paste from skillet to diced tomatoes and stir until combined. Add 1-2 tbsp water if sauce starts to dry out. 8. 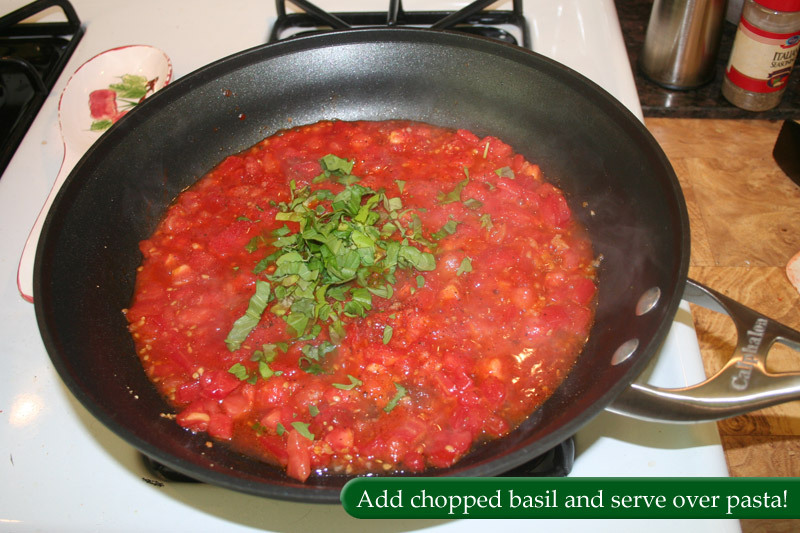 Season with freshly ground black pepper, and fresh chopped oregano and chopped basil leaves. 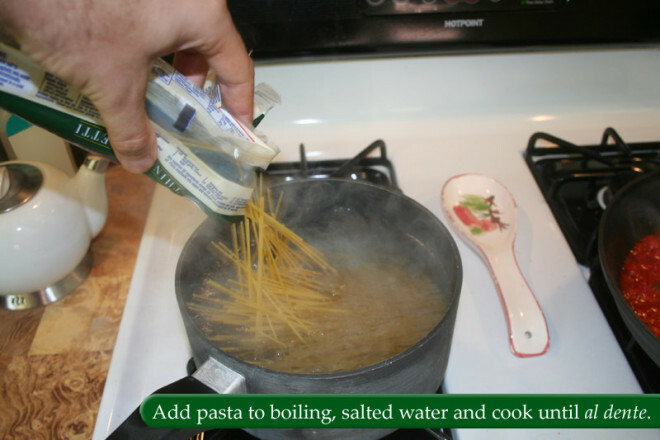 To make pasta, bring 4 quarts of water in a large stockpot to a boil. Add 2 tsp of salt and your choice of pasta to the boiling water and cook as directed (stopping 1-2 minutes short), until pasta is just al dente. 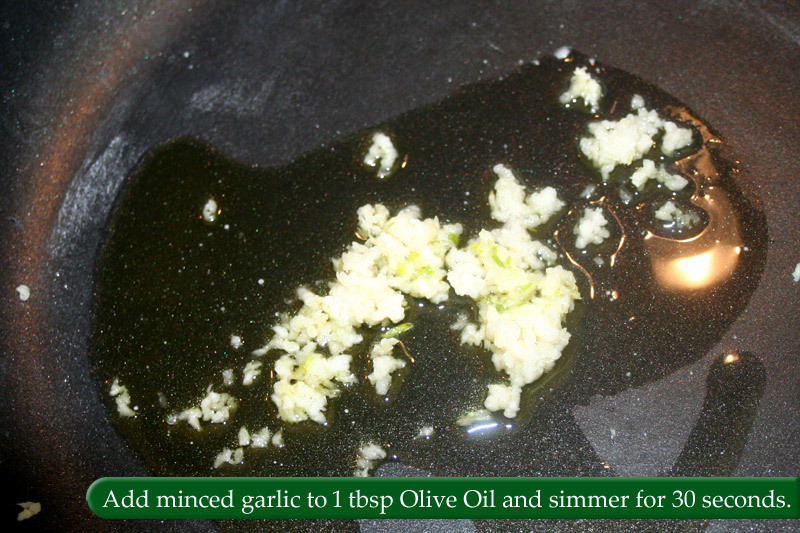 Dump pasta into a colander and allow to rest ~30 seconds, without rinsing or shaking the pasta. Return pasta to stockpot and add about 1/3 of sauce to the pasta, tossing to coat pasta with sauce. Adding sauce to slightly wet pasta will cause the pasta to bond with the sauce and soak up its flavors. Serve pasta, passing additional sauce and shredded Parmesan cheese on the side.